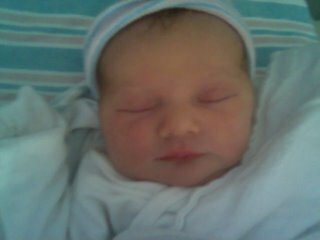 Seanna Miriam Harris joined the world at 12:26 pm on August 21, 2006. 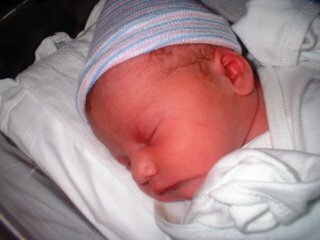 This beautiful little angel that God entrusted to my care weighed in at 7 pounds and 11 ounces and a long 20 inches. She was born without much labor in the presence of her father and her big sister Madison. Big sister Alana was able to see her new little sister shortly after birth. Also, present in the waiting room was her grandmother, Bobci. Other visitors her first day of life included Pop-Pop, Grammy, Grandaddy, Grammy Lisa and Great Grandmother Du. She was born with a head full of dark hair and deep blue eyes. She is very alert and is an extreemely good nurser. Erica's pregnancy blog will now officially become The Seanna Blog.